Purple vinyl. 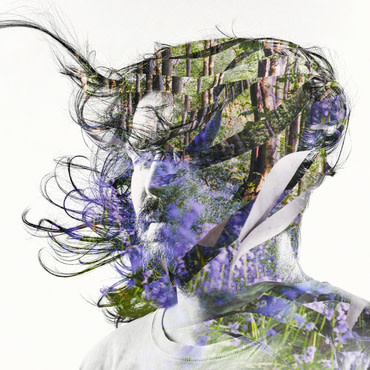 Bibio returns in 2019 with Ribbons. Following his ambient atmospheric project, Phantom Brickworks, Stephen Wilkinson returns to the path of structured songwriting last explored on 2016’s A Mineral Love. Ribbons yields folkloric charm with an organic palette, incorporating a mostly acoustic-led approach exploring ‘60s and ‘70s psychedelia, soul, ambient, electronic and field recordings. A self-taught musician, singer and producer, he plays nearly all of the instrumental parts on the album and unveils new instruments to his palette, bringing in mandolins, fiddle and other stringed instruments which give a new flavour to his music. But, while the sonics of the album are based around acoustic and other traditional instruments, the title Ribbons is extracted from the most electronic-leaning track on the album: Pretty Ribbons And Lovely Flowers. On the track, haunting, processed female vocals illuminate a route through dark ambience and a repeating earthy distorted chord sequence. Referencing the endless ribbons of analogue tape and film used in his music, photography and cinematic work, the album artwork is designed by Wilkinson, where his portrait offers a window onto an English woodland scene with spring bluebells adorned with ribbons. The songs presented here often rely on melodic lines, like those used in lead single Curls, to define rhythm and groove rather than the definite pulse of percussion. There are however a few exceptions, like the ‘70s soul inspired Before and the Brazilian-influenced shuffling brushes groove of Old Graffiti. The weaving and overlapping guitar lines in instrumental tracks like Valley Wulf never stray too far from the grain of folk and storytelling with which this album is so cohesively tied together. Tracks such as Ode To A Nuthatch find Wilkinson exploring his signature sound of tape-saturated fingerpicked guitar, but with a melodic and harmonic maturity that makes Ribbons a definite evolution of this unique style.